Had a chance for a little deer stalking with Mel Stewart – an old friend of mine. 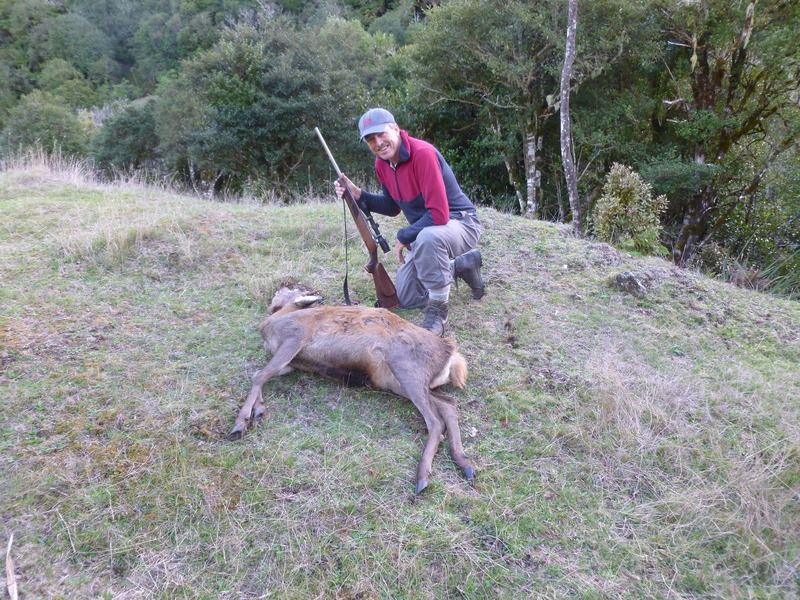 Mel is part of a small group who set up a fantastic hunting lodge in a stunning piece of NZ wilderness near Lake taupo – Taumaranui. It is a huge place – 10000 acres. 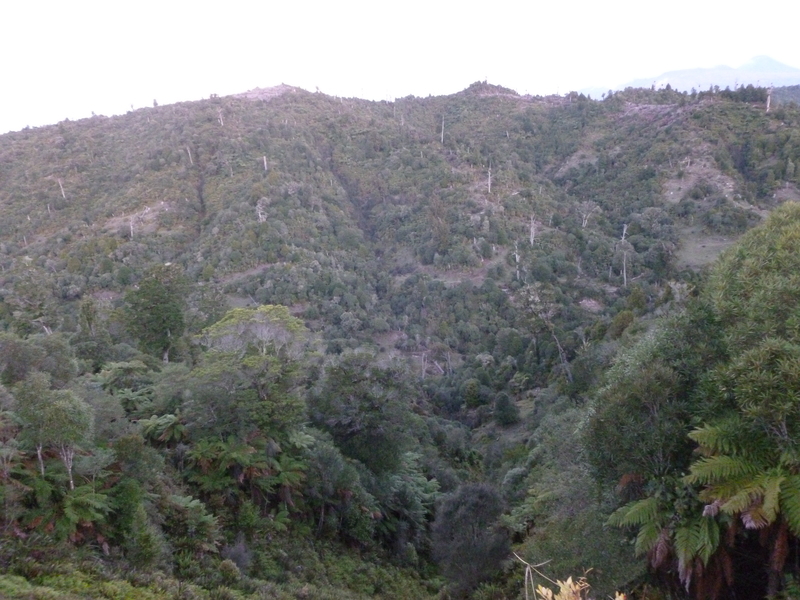 The land – Puketapu – is Maori owned and has a long and colourful history. 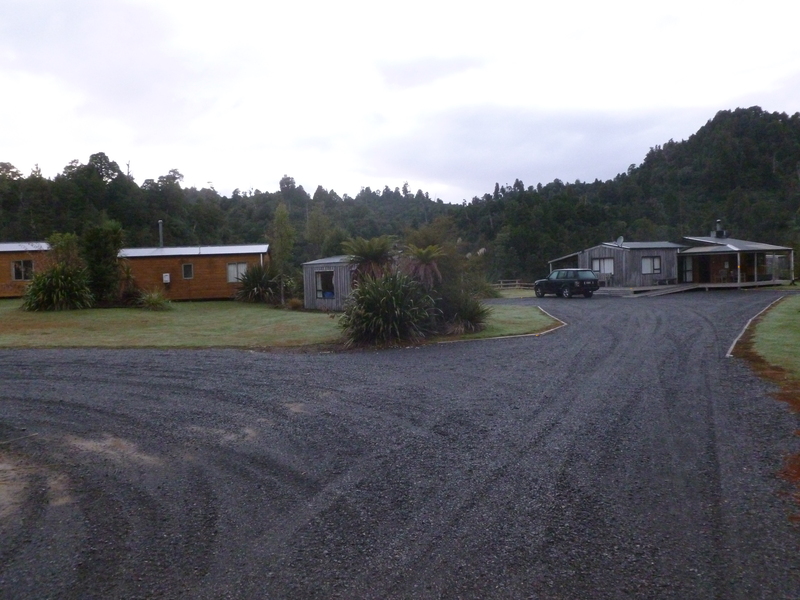 Was logged over 25 years ago but now largely reverted to native forest interspersed with small grassed clearings – a Mecca for hunters and trout fishers.Mel and some close friends took up a lease on Waipari and over the last 15 years put in a lot of capital to build a nice collection of buildings for high quality accommodation for hunting. 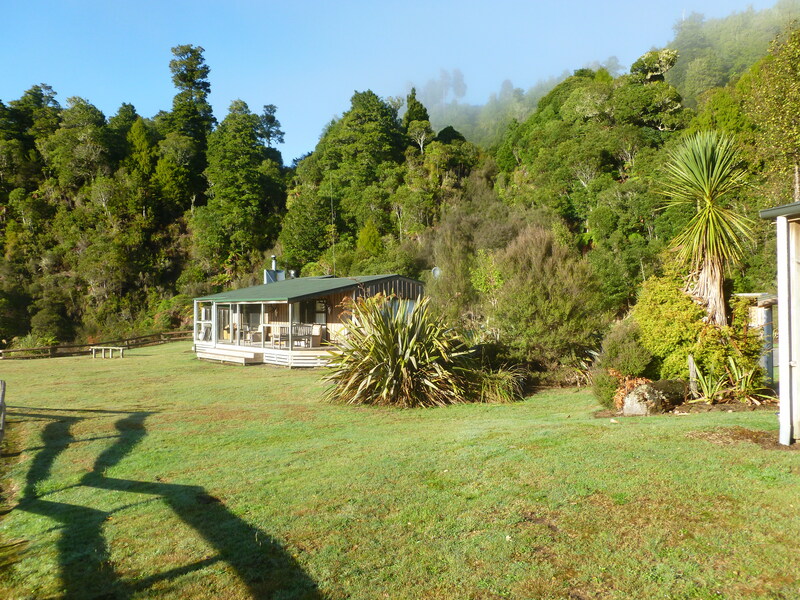 WE arrived to some stunning weather – clear and fine and warm. The country is coming out of drought after recent rains and all the clear areas have grass starting to push up. 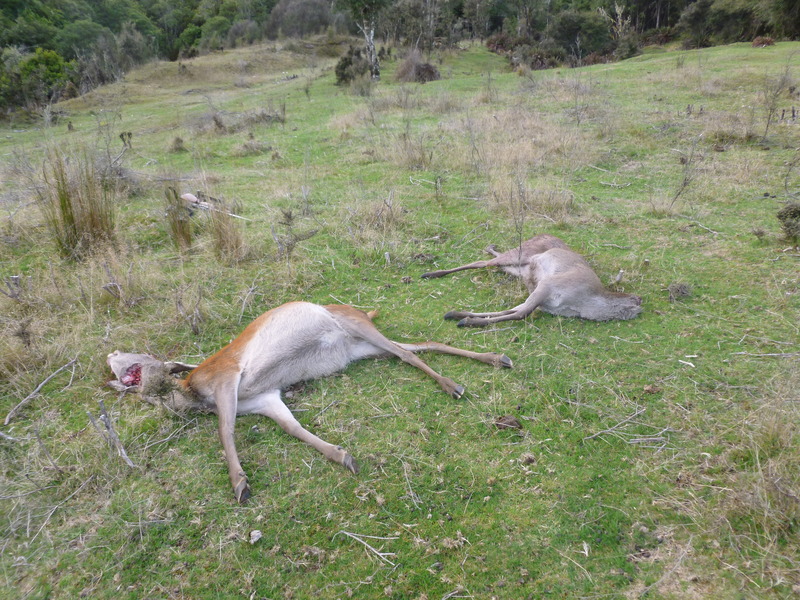 The result of this appears to be a deer population that is out and about grazing the clear patches – eating well – putting on condition ahead of the winter. WE had a minor problem with getting into Waipari as the lock was Rogers and “Rogered”! 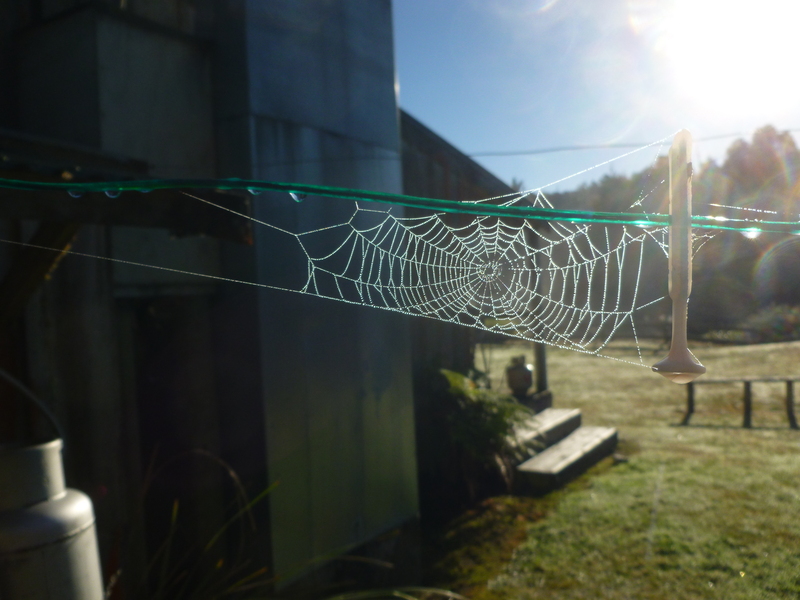 – but nothing a little kiwi ingenuity could not sort out. We took Mel’s rifles out to the range ( Yes they even have a sighting range ) so Mel could see if I was going to be able to hit a target with his 223 . He was sporting his backup 308. After surprising myself with just how light the trigger pressure was I managed to put five shots in reasonably close proximity on my target. WE headed off on a mid morning hunt – I startled a large stag which jumped clean into the air when I was a close as 10 metres to him – we were both very surprised. It ran off into bush and subsequently across a high slip. I heard the crash as Mel’s 308 went off as he took a shoot at the moving target. A miss – but we did get to sight him one last time as Mel anticipated his likely progress and we moved to an ambush position- another clear area and about 5 minutes later he appeared again but too short a time to get a bead on him. Setting out at about 3pm – we drove Mel’s range-rover up one of the tracks -Waipari has great tracks for vehicles and or quads – along a river- parked it and headed off to stalk the clear patches along side the river and the clear guts/slips into higher country. 300 metres ( exactly – I checked with the range-rover odometer) I spotted our first deer – a spiker. I fumbled with the rifle trying to see him in the telescopic sight – too -too slow and he started moving off into bush. Mel moved back into the bush which flushed him back out and across the clearing. By that stage i was well ready – leaning against a tree to steady the shot and my racing heart. Boom – a quick reload and another shot. The deer crashed to the ground – probably the first shot – heat / lungs. 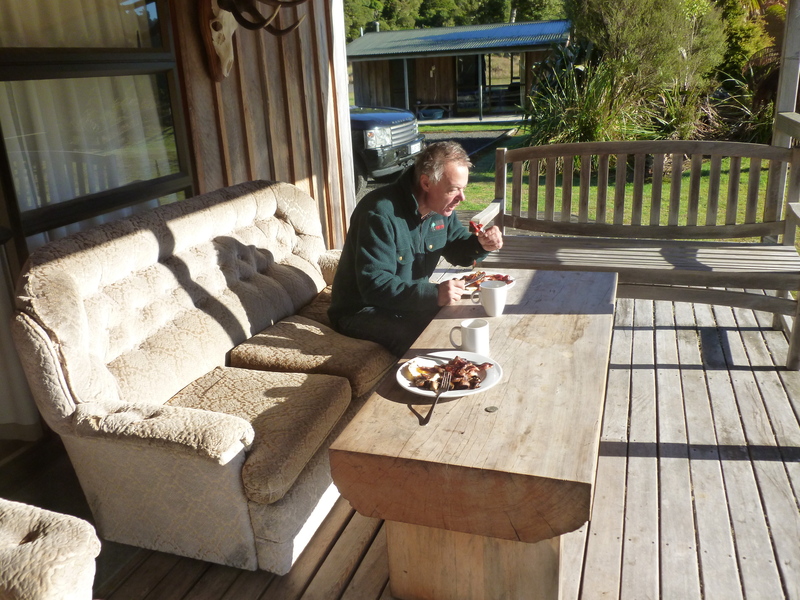 Mel got into action and with lots of huffing and puffing had him gutted and ready for our return to the lodge. We carried him 10 metres up alongside the track and started hunting again. We stalked on for another hour or so – up a couple of short guts – but only another 1.1km on the track. Into a clearing Mel saw a hind grazing – he moved to get a better position – I waited rifle ready . The hind eventually seemed to spot me – and started to stare intently in my direction.I stood stock still – rifle ready – and waited for Mel to shoot. 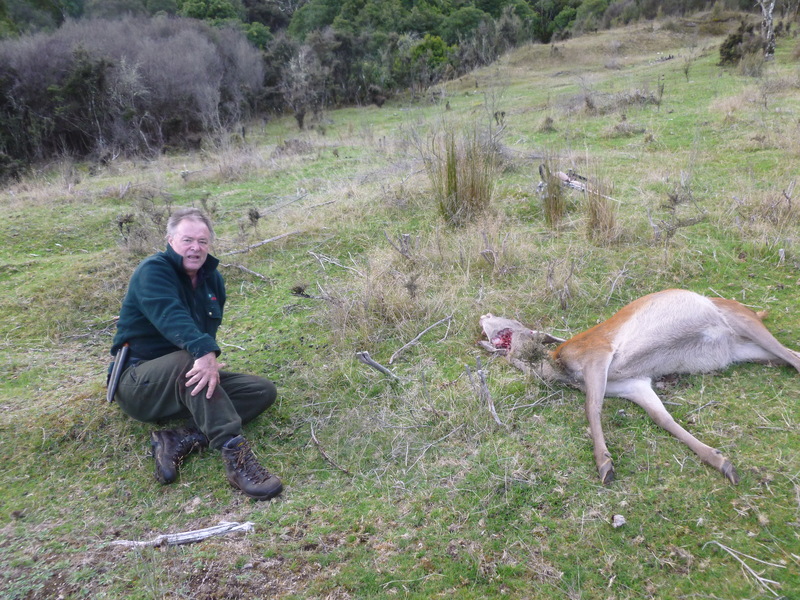 His shot- when it came was very effective as the hind dropped dead on the spot – barely moved. Meantime the scene changed with a further 4 or 5 yearlings springing up as if from nowhere. We fired at the moving targets and managed to hit another deer which crashed off down a steep bank into a small stream.We had a bit of work to carry the yearling up out of the creek but that was all.From there the range -rover! 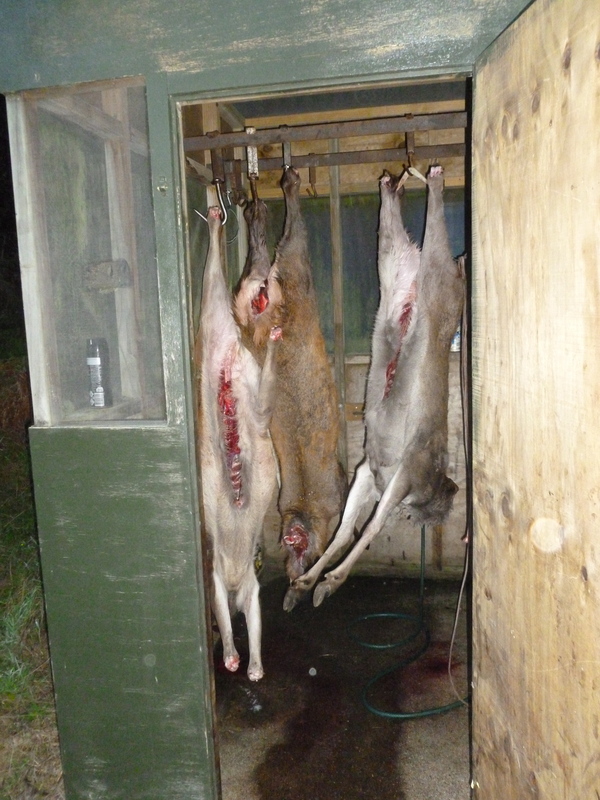 I walked the 1.4 km back and retrieved the range-rover while Mel gutted the deer and we eventually loaded up and drove back to the lodge and hung up the carcasses to cool and set overnight in the meat safe. Yes- Queen street deer stalking!! 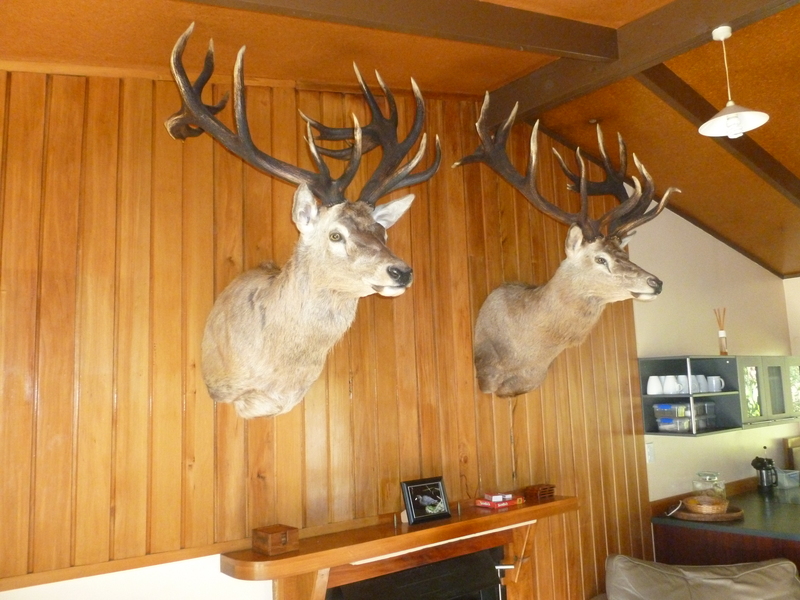 IN the short time at Waipari – I would have seen over 30 deer – always some to be seen on the drive from the main road into the Lodge – safe to say that the population of deer is very large.